Deaver & Deaver are personal injury lawyers in Wilmington, NC. 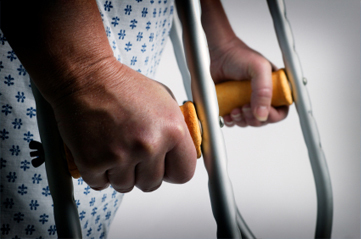 A personal injury can occur anytime you are injured as a result of another person's negligent or intentional actions. Personal injury law may offer you money damages for injuries caused by Automobile & Motorcycle Accidents, Assault Charges, Slip & Fall, Dog Bites, Wrongful Death, and a number of other circumstances. At Deaver & Deaver, we understand what it's like to deal with insurance companies. Wilmington, NC personal injury Attorney Ben Deaver has many years of experience as a senior insurance adjuster. He has also worked for an Insurance Defense Law Firm. Because of his experiences and knowledge, he's very skilled at getting results for personal injury clients and he understands how insurance adjusters think. A lot of our clients are referred to us by other attorneys because they know we will take care of their clients and get them the best results possible. We handle serious Automobile & Motorcycle Accident cases as well as all other personal injury claims. If you have questions about your insurance coverage, contact us to discuss your policy.